Head over to check out these Long Length Soft Comfy Tees for ONLY $7.99 (Retail $18.99)! The most comfortable long length everyday T-shirts! We offer so many colors with 38 heather toned colors to choose from! 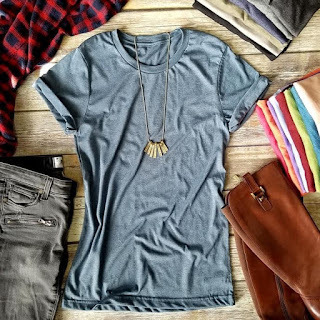 Tee features a crewneck, short sleeves and a new modern, relaxed fit for comfortable style, and a perfect to go with a pair of jeans or leggings.